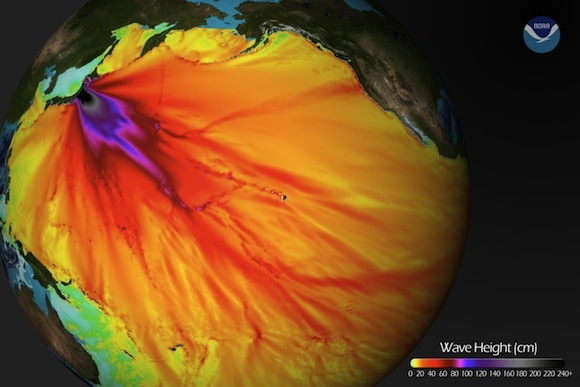 NOAA Tsunami Prediction Image - WOW! Those of you who check out surf forecasts regularly will appreciate the magnitude of this wave model. It's hard to comprehend just how much wave energy was released; it covers almost half the earth. Read more about NOAA Tsunami Prediction Image - WOW!